I vividly remember my mother preparing sandwiches for my father, who worked night shifts at the steelworks. These were no ordinary sandwiches – a big chunk of cooked meat patty between two slices of bread of equally hunger-slaying size. A marvel to behold in 1980s Poland. At some point in the 1990s, the meat patty sandwich was given a totally new face in Poland – by a certain Mr McDonald. Meat patty sandwiches became burgers, and ‘nutritious’ became ‘desirable.’ Interestingly, McDonald’s wasn’t the first burger chain in Poland. 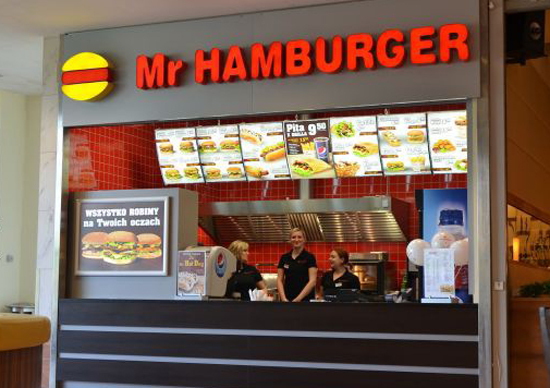 That honour goes to Mr Hamburger – a franchise founded in 1990 and still going strong today. But for a child of ten, whose world was limited to places her parents were willing to take her, nothing could beat the taste of McDonald’s juicy burgers in a soft bun. Now the kids of the 1990s have grown up, we still crave hamburgers – only now we want gourmet burgers, not the homemade, utilitarian hunger-slayers of the steel worker or cheap and fast McDonald’s. We want upscale ingredients and fancy dressings. We want good food. And in Krakow, we know where to find it. 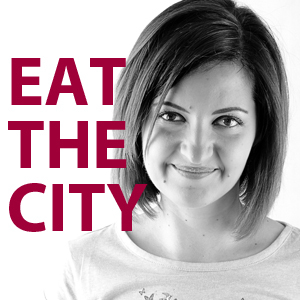 But why have we kept this burger obsession when the city offers so many more sophisticated dishes to choose from? Michał Rusin, the owner of the Burgertata van that hangs out at ul. Krupnicza 6, believes it’s because burgers are no longer seen as unhealthy or ‘cheap’ food. “On the contrary,” says Michał, “Choosing gourmet burgers is an excellent example of being a thoughtful consumer. People want to know what they are eating – they are no longer satisfied with burgers with random ingredients. They want to have control over what they eat. And they want to have a choice”. Gourmet burgers are for people who are willing to spend a bit more, but who expect a bit more in return. And Krakow is suddenly teeming with restaurants ready to meet those expectations. Be it Burgertata, or Krakow’s first gourmet burger restaurant, MoaBurger (ul. Mikołajska 3), or Nova Krova (Pl. Wolnica 12), which has vegan burgers, replacing the beef with all sorts of ingredients from falafel to tofu, even the most demanding palate in Krakow will find a burger to suit. Oh, and there are rumours that Mr Hamburger is coming back to town. There is no doubt, the burgers have conquered the city. ← On Two Wheels: Victory for Cyclists! Two words of local wisdom: Antler Burgers. They’re located at ul. Golebia 10. I hesitate to write more lest the line becomes so long that I will have spoiled this discovery for myself. You’re welcome.